Auditory Integration Training - AIT Helps Those with Apraxia in the Effective 10 day, 20 Session Therapy! Apraxia can be debilitating, especially for children. 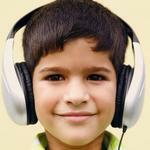 Children with verbal apraxia – a motor disorder – can have trouble talking. Verbal apraxia in children or adults, including with an autism diagnosis means there is speech difficulty that is not due to any paralysis or weakness of muscle. Instead, the difficulty in apraxia is an inability to plan motor movements that are required to produce speech. Difficulty saying longer words or phrase. Groping behaviors when trying to coordinate the mouth, lips and tongue for voluntary movement. Apraxia of speech is considered a motor-speech programming disorder that results in difficulty expressing and/or coordinating the oral-motor movements necessary to produce and combine speech sound (phonemes). This makes it difficult to form syllables, words, phrases and sentences on voluntary - rather than reflexive - control. The fact is, many children with verbal apraxia are able to hear words, but they are able to understand what they mean, but they can’t change what they hear into the words. 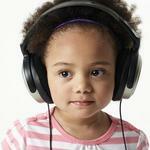 Children will have problems saying sounds, syllables, and words. This is not because of muscle weakness or paralysis. The brain has problems planning to move the body parts (e.g., lips, jaw, tongue) needed for speech. When the messages from the brain to the mouth are disrupted, and the person cannot move his or her lips or tongue to the right place to say sounds correctly, even though the muscles are not weak. The severity of apraxia depends on the nature of the brain damage. Neurological impairment - caused by infection, illness, or injury, before or after birth or a random abnormality or challenge in fetal development. This category includes children with positive findings on MRI’s of the brain. Complex Neurodevelopmental Disorders – apraxia can occur as a secondary characteristic of other conditions such as genetic, metabolic, and/or mitochondrial disorders. In this category would be Childhood Apraxia of Speech that occurs with Autism, Fragile X, Galactosemia, some forms of Epilepsy, and Chromosome translocations involving duplications and deletions. Idiopathic Speech Disorder (a disorder of “unknown” origin) – with this condition, it is unknown “why” the child may have apraxia of sSpeech. Children do not have observable neurological abnormalities or easily observed neurodevelopmental conditions. Auditory Integration Training (AIT) is an important education intervention that can help children with apraxia improve in the 10 day music therapy. Read success stories about children with speech issues that benefited from AIT! There is an auditory component in apraxia that AIT can address. But it is not only that a person with apraxia can't say it, they also have challenged auditory target to aim for. A good analogy would be like when someone is aiming at a target and shooting an arrow, and the body is positioned in archery, but the person needs glasses in order to correctly see the target and fine tune their aim. The first change after AIT is usually an improved muscle tone and in some cases improved balance. Some Speech and Language practitioners treating apraxia will follow a neurodevelopment program in conjunction with AIT. These type of programs which works from the brainstem up through midbrain and then cortex. Such a program is hierarchical and consists of reflexes embedded in the first developmental movements that all humans do. Practitioners treating apraxia will also combine AIT with work on with additional reflexes according to the person's needs. These include fundamental movement skills such a basic gross motor coordination, balance (vestibular system), core strength, fine motor and proprioceptive exercises are also helpful.